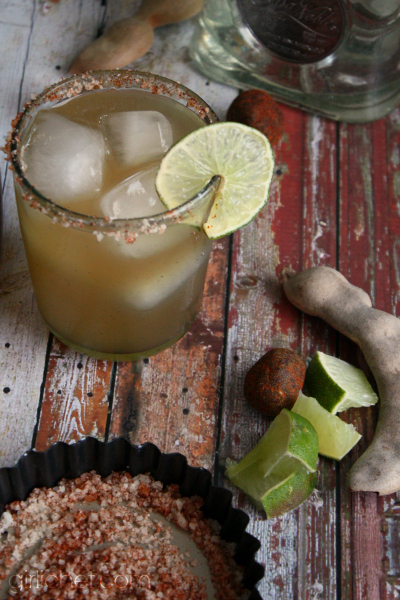 Tamarind Margarita + 24 more Margarita recipes for National Margarita Day! I love celebrating National holidays. You know, things like Independence Day, Memorial Day, National Garlic Day (my favorite), National Pecan Sandy Day, National Blueberry Pancake Day, National Empanada Day, National Whiskey Sour Day, National Oranges and Lemons Day, and National Strawberry Shortcake Day. Important holidays like those*. Today just so happens to be a National holiday, one that I take very seriously, National Margarita Day. I'd throw a party in honor of it, complete with a concoct-your-own-Margarita Bar, if I had the space. Or the ability to fly all of my friends and family to a toasty beach to spend the day. While I may not have the ability to do that (yet), I can invite my friends over for a virtual party to celebrate National Margarita Day! And hey, that's almost as good. Maybe even better (minus the no toasty beach part) since it's like a boozy potluck. Everybody is bringing a different type of margarita. Some traditional cocktails, either on the rocks or frozen; some margarita-infused food to soak up complement the cocktails. I'll raise my glass, salted rim and all, to that! Oh, and something that I should mention? My favorite brand of tequila? They sent me a free bottle to include in this celebration. Cuz I'm cool like dat, I'm cool like dat. Casa Noble tequila has been my favorite since the first time I tried it (I've said it before and I'll say it again). So, might I recommend setting it out on your bar, or using it in your own kitchen to celebrate the holiday? 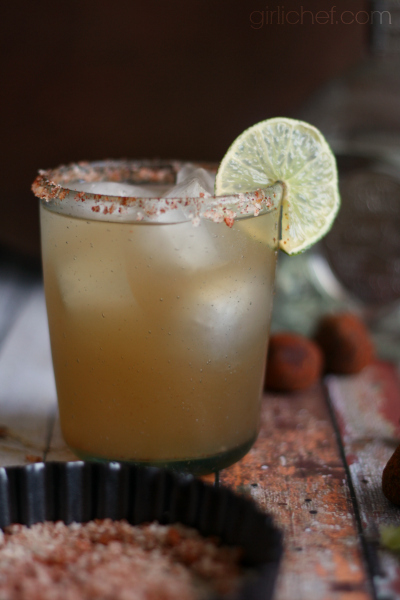 When trying to decide what sort of margarita to use my Casa Noble in, I kept leaning towards something with a Mexican twist. Something along the lines of some of my favorite Mexican candies: little pots of sweet and tangy tamarindo, tamarindo lollies coated in a layer of spicy powdered chiles, sweetened tamarindo pulp studded with smooth seeds and rolled in chile. I love the way they assault my taste buds. Tamarindo may not be the prettiest flavor on the planet (and it only takes a glance at the long brown pods to compare their looks to something else), but I love it all the same. It's tangy and acidic, and it pairs oh-so-perfectly with sweet and/or spicy additions. And then add good tequila. Worthy of a National holiday. Fill a cocktail shaker half full with ice. 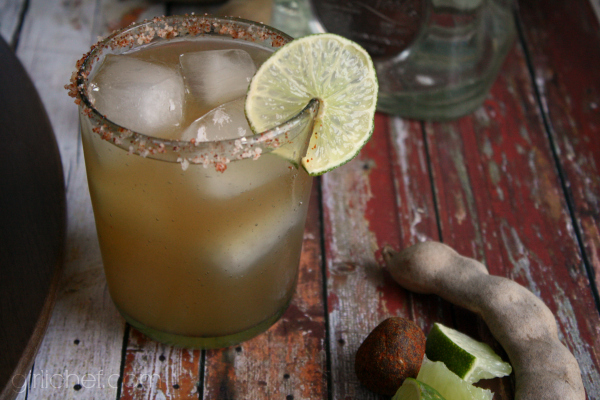 Add tequila, agua de tamarindo, Licor 43, and lime juice; shake until chilled. Combine salt with some ground chile on a small saucer. Rub the rim of your tequila glass(es) with a cut lime, then dip into the spicy salt. Add ice to the glass, then strain your Margarita to fill. Garnish with a lime slice or wedge, if you like. My Agua de Tamarindo is already sweetened, so I did not add any sweetener. 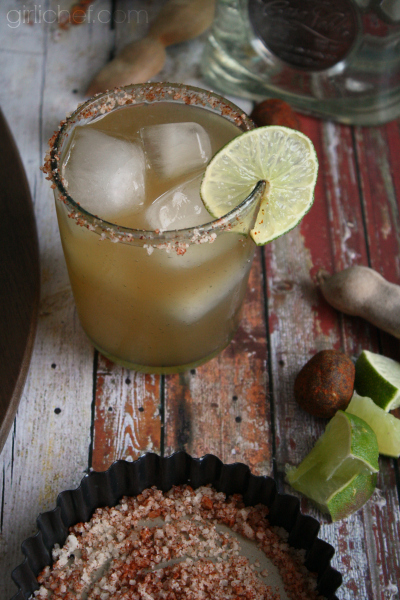 If you would like your Margarita sweeter, add a little agave nectar to taste. *Tongue. In. Cheek. I, of course, do not hold "made up" National Food Holidays in the same regard as I do actual National Holidays in which we honor the great accomplishments, contributions, freedoms, and memories that our country was built on. As mentioned above, I received a complementary bottle of Casa Noble tequila to use in my National Margarita Day festivities. All opinions stated in this post are my own.